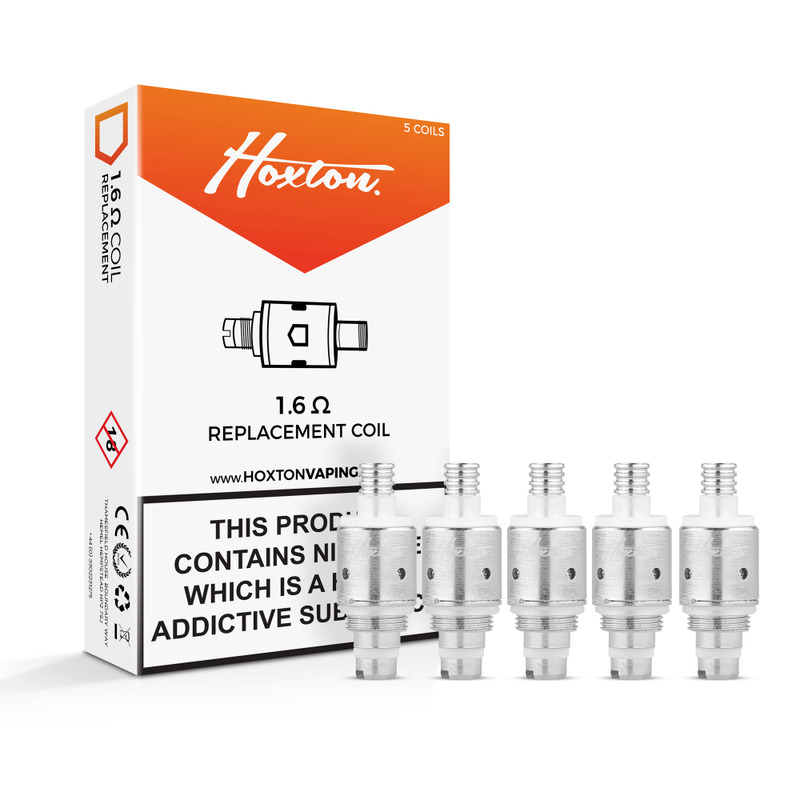 Hoxton Original Coils are replacement coils for your Original Clearomizer, as found in the Hoxton Original Kit. These easy-to-replace dual coils have a resistance of 1.6ohm and produce fantastic vapour alongside consistently great flavour. Hoxton Original Coils come in packs of 5. I really like the hoxton 1.6 ohm coils they always give a good vip, they also last a good few weeks, before needing replacing.